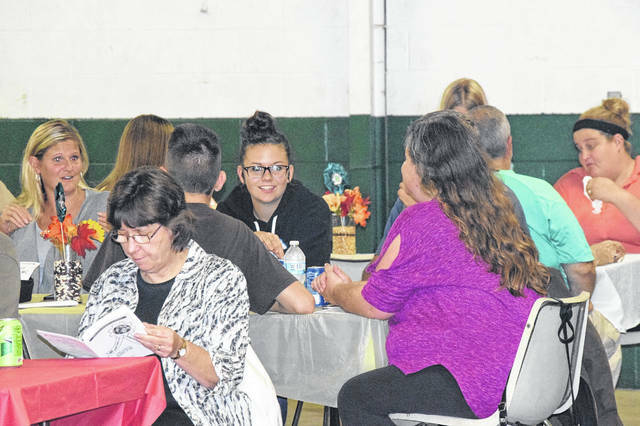 The annual 4-H banquet was held on Monday, Sept. 24 to recognize particiants and supporters of the program. 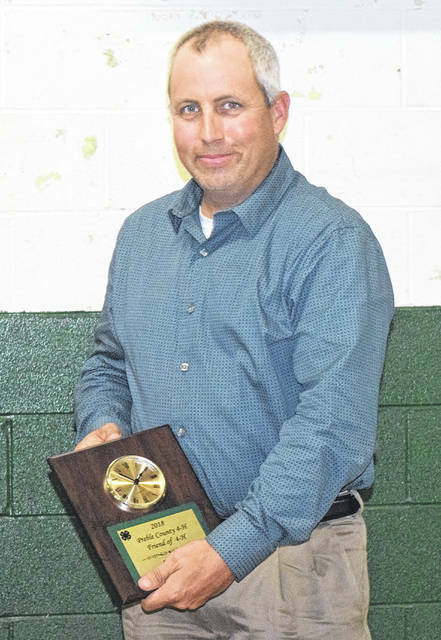 Steve Orr was honored with the Friend of 4-H award. Deanna Seitner was awarded as Advisor of the Year. 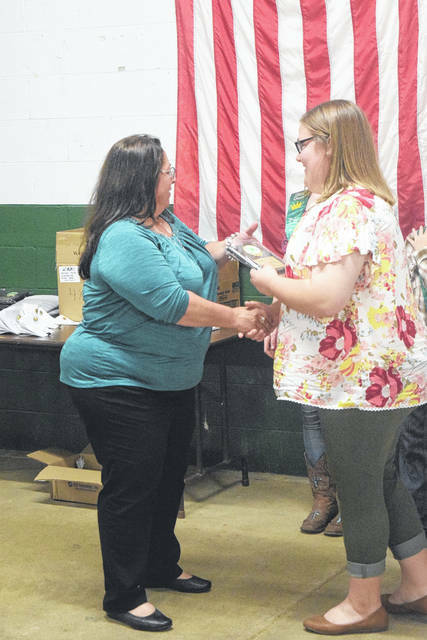 EATON — During the annual Preble County 4-H Banquet, held on Monday, Sept. 24, Steve Orr was awarded with the Friend of 4-H award and Deanna Seitner was honored as the Advisor of the Year. 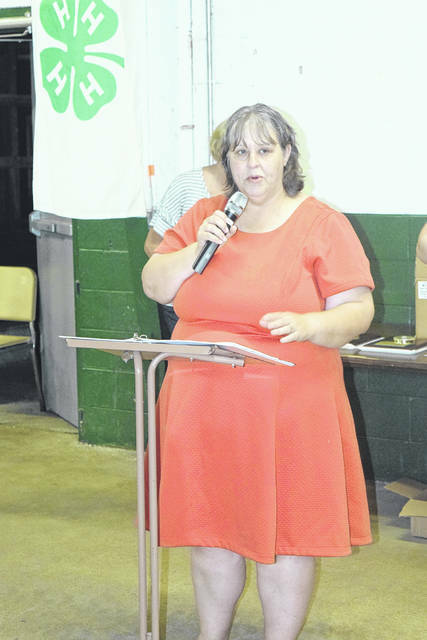 Extension Educator Christy Millhouse spoke on why both individuals deserved the honors they received. First, Millhouse recognized Orr with the Friend of 4-H Award. 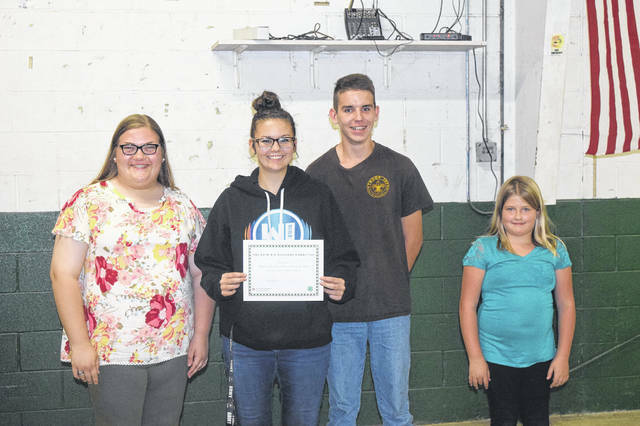 “[Friends of 4-H recipients] might be people in our program or people in our community, but they are people have supported the program in some way that is exceptional and does a good job supporting what our members are doing,” she explained. “Usually, I write a little blurb of things about the person who we are recognizing, but this year I am going to keep it to a few words. This individual, I think as I talked to people and we talked about what I should say, a lot of the people said this person is very kind and caring. 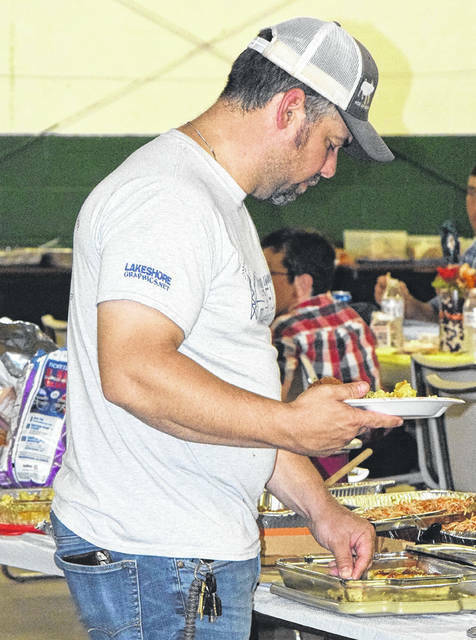 It is a person who supports our 4-H program and our fair in a lot of different ways. Next, Millhouse named Seitner as the Advisor of the Year. “Advisors of the year are nominated by members of their clubs. We get great applications from people who want to nominate their advisors. It is really fun to read those nominations and see what these youths are saying about how the adults in their lives are supporting them,” she said. “Every year, it is a difficult task for the committee who looks at this and selects this award. This person had multiple nomination forms this year. In them, things like, this person being very knowledgeable in different areas, always being willing to help and going above and beyond helping members of their clubs and outside clubs. Also during the banquet, several advisors were recognized for their years of service. Lynn Hans was recognized for 45 years of service. Gayle George and Ann Morgan were recognized for 40 years of service. Tom Peffly was recognized for 35 years of service. Karen Hamilton was recognized for 15 years of service. The following individuals were recognized for 10 years as advisors: Bill McQuiston, Kerri McQuiston, and Denise Roell. The following individuals were recognized for five years as advisors: Charles Bresher, Necoleia Friend, Monene Kamm, David Maddox, Amelia Oberschlake, Jennifer Rhoades, and Danielle Seitner. The following individuals were recognized for their first year as advisors: Miranda Armstead, Karen Cole, Melissa Dare, Reichel Huffman, Hunter Owens, Madlin Proeschel, Eugene Rader, Jillian Rader, Kristina Rader, Abigail Saul, Gwendolyn Thacker, Thomas Tilton, Jeanie Willoughby, Jeffrey Willoughby, and Douglas Whiteaker. 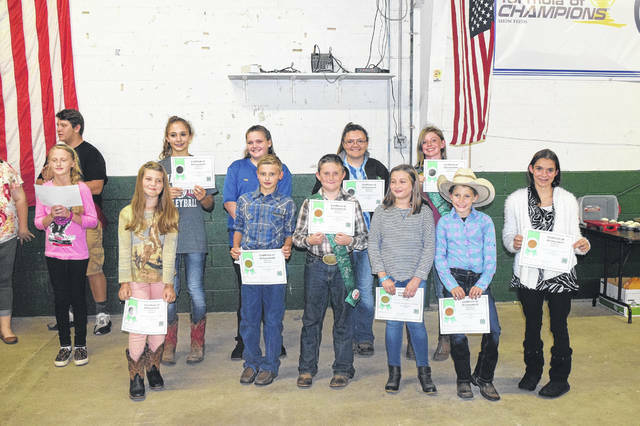 The following 4-H members were recognized for their 10-year participation: Shelby Abrams, Jeffery Bridgeford, Michelle Bulach, Kara Burton, Brooke Caplinger, Caleb Caplinger, Sierra Cooper, Taylor Cooper, Billy Croucher, Cole Croucher, Morgan Croucher, Chelsea Cruze, Erika Dillhoff, Annika Gels, Allie Hamilton, Kendale Hamilton, Chyann Kendel, Rachael Kimball, Aaron Lake, Holly Lawson, Jasmine Mabry, Kelsey Matheny, Olivia McCarty, Katelyn Meeks, Kayleigh Michael, Sydney Miller, Mackenzie Neal, Emily Puckett, Carson Shafer, Kelsie Shafer, Claire Sorrell, Tyler Stevenson, Grant Sullender, Logan White, Cole Whitesell, and Blake Whitesell. 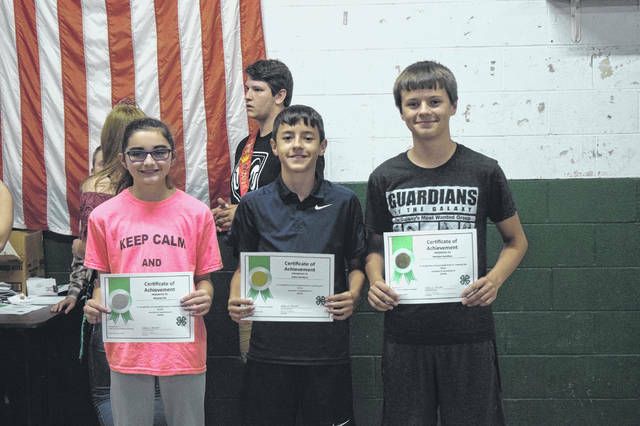 The following 4-H members were recognized for their 11-year participation: Addie Anspaugh, Owen Baumann, Trent Broermann, Laura Clyburn, Sophia Cottingim, Taylor Daley, Bailey Downard, Lacey Emrick, Kevin Ketring, JP Marshall, Alex McCarty, Caitlyn Millhouse, Katelyn Niehaus, Olivia Rader, Josephine Shindeldecker, and Hope Trader. 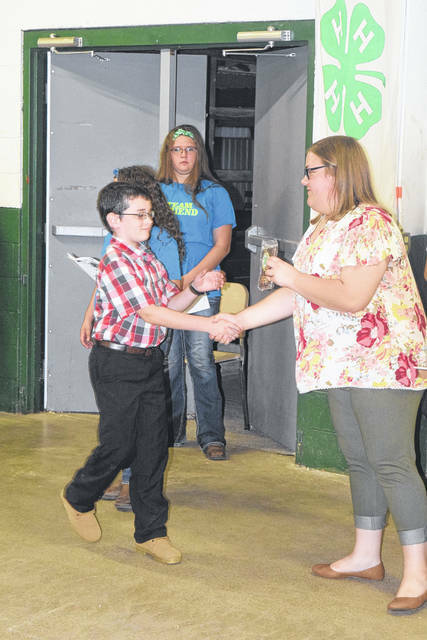 The following 4-H members were recognized for their 12-year participation: Abby Bulach, Liam Downing, Arica Hamilton, Nate Henning, James Howard, Rebecca Mowen, Alisha Rader, Cooper Shockey, Alysa Sorrell, and Jenna Wilson. 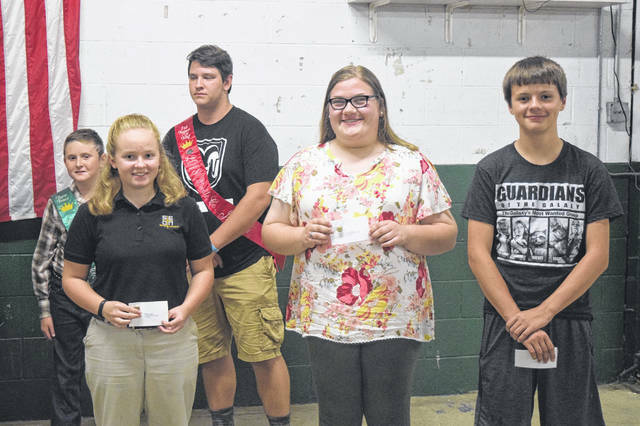 The following 4-H members were recognized for their 13-year participation: Montana Cox, Macel Stowers, and Caroline Vonderhaar. 2018 Junior camp Counselors were recognized, as well as 2018 Carteens Peer Leaders, 2018 Ohio State Fair Award Winners, 2018 Award Recipients, and 2018 State Fair Representatives. 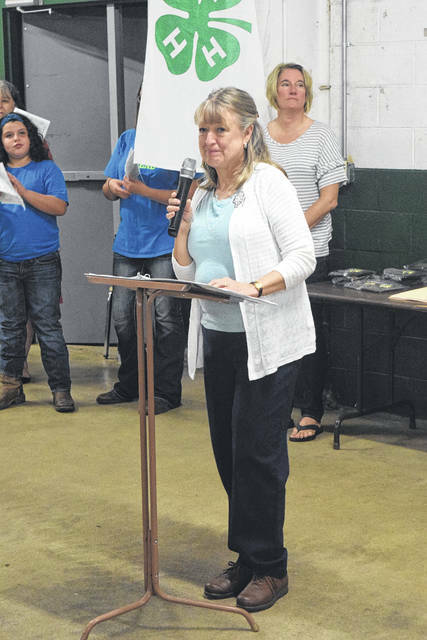 The following clubs were recognized for their community service: Boots Chaps and Cowboy Hats, Lewisburg Blue Ribbon, Monroe Better Livestock, and Washington Township Livestock. 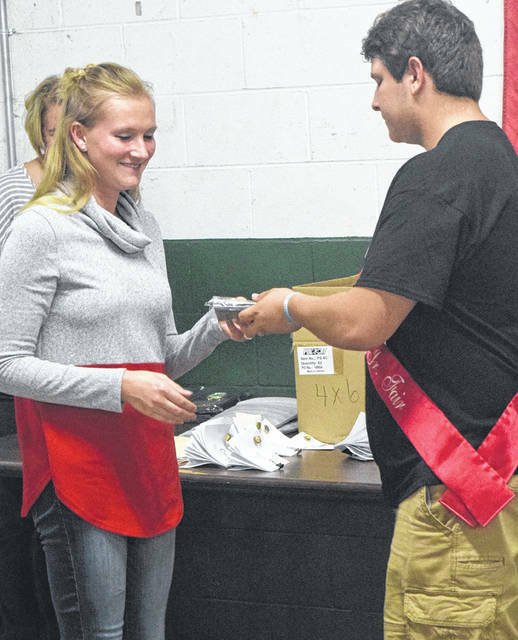 https://www.registerherald.com/wp-content/uploads/sites/41/2018/10/web1_4H5.jpgThe annual 4-H banquet was held on Monday, Sept. 24 to recognize particiants and supporters of the program. 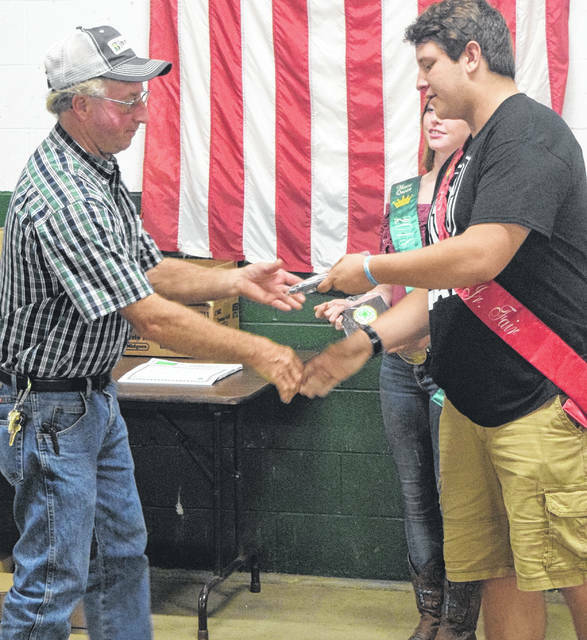 https://www.registerherald.com/wp-content/uploads/sites/41/2018/10/web1_4H13.jpgSteve Orr was honored with the Friend of 4-H award. 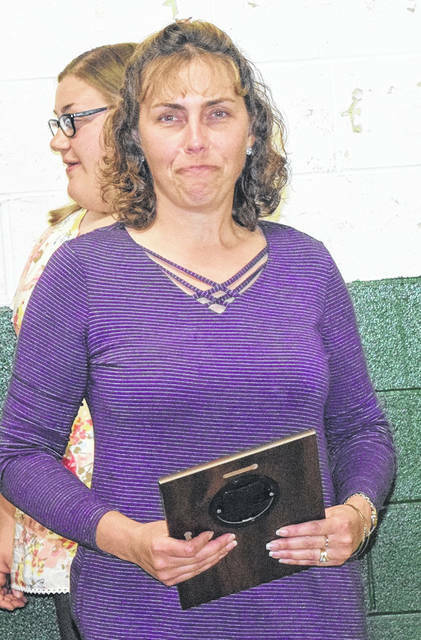 https://www.registerherald.com/wp-content/uploads/sites/41/2018/10/web1_4H14.jpgDeanna Seitner was awarded as Advisor of the Year.